That’s how real it all was, he told BusinessWest. But those words are within quotation marks because none of this actually was real; rather, it was a simulation — a poverty-simulation seminar, to be more precise. Li, a general pediatric resident working at the Baystate High Street Health Center, was playing the middle child in this exercise. His “family,” like many in Springfield that actually come under his care, was living below the poverty line — well below it. And one of the things Li learned very quickly as he acted out his role was that, when the police enter the picture, bad things are probably about to happen — such as children being taken away for suspected neglect. And that’s why he felt his heart rate spike when a man who was just playing his role as a police officer moved onto the scene. 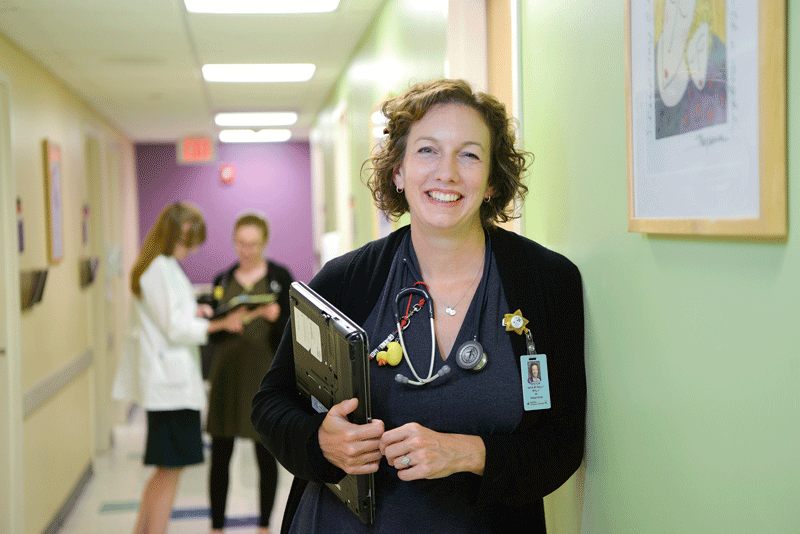 Making such experiences as real as possible is now part of the broad job description for Dr. Molly Senn-McNally, a pediatrician, Springfield’s school physician, and continuity clinic director for the Baystate Pediatric Residency Program. She has made the poverty simulation part of the orientation for Baystate residents, and also part of very comprehensive efforts to help young physicians better care for people living in poverty by making them fully cognizant of all the challenges facing those in this constituency. And that’s only one of many initiatives she’s involved with that so impressed the judges that Senn-McNally was the high scorer in the Healthcare Heroes category known as Community Health. Others include everything from the introduction of substance-abuse screenings in Springfield schools to an integrated behavioral-health system at the High Street clinic, to ongoing efforts to establish a diaper bank at that facility to assist those struggling mightily to make ends meet. Such stress, which is receiving ever-more attention in the healthcare and social-service communities, occurs, according to the Harvard Center for the Developing Child, in response to the strong, frequent, and/or prolonged activation of the body’s stress-response system without adequate protective relationships and other mediating factors (Li’s spiking heart rate when police appeared on the scene, for example). Stressors may include individual experiences of adversity, as well as family and community circumstances that cause a sense of serious threat or chaos. Reducing such stress and minimizing its impact has become, in many ways, Senn-McNally’s life’s work. And a big part of it is compelling young doctors, through exercises like the poverty- simulation seminars, to understand how those social determinants of health directly impact the patients they see every day. If one listens to Li and other residents who have taken part in such simulations, Senn-McNally is succeeding in transforming this empathy, this understanding, into better care for this at-risk population. 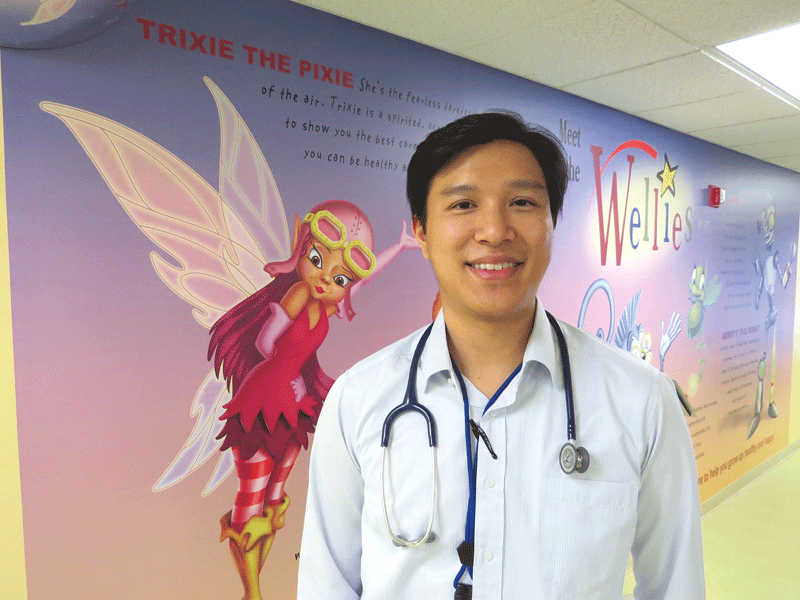 Dr. James Li says the poverty-simulation seminar he took part in gave him greater appreciation of the challenges facing many of the patients he sees. Dr. Shubham Bakshi, who has also taken part in a poverty-simulation seminar, agreed. Bakshi, a native of India and graduate of Ohio State University and then Northeast Ohio Medical School, said he was obviously not experienced in what it’s like to be a 14-year-old girl, especially one in a family living in poverty. 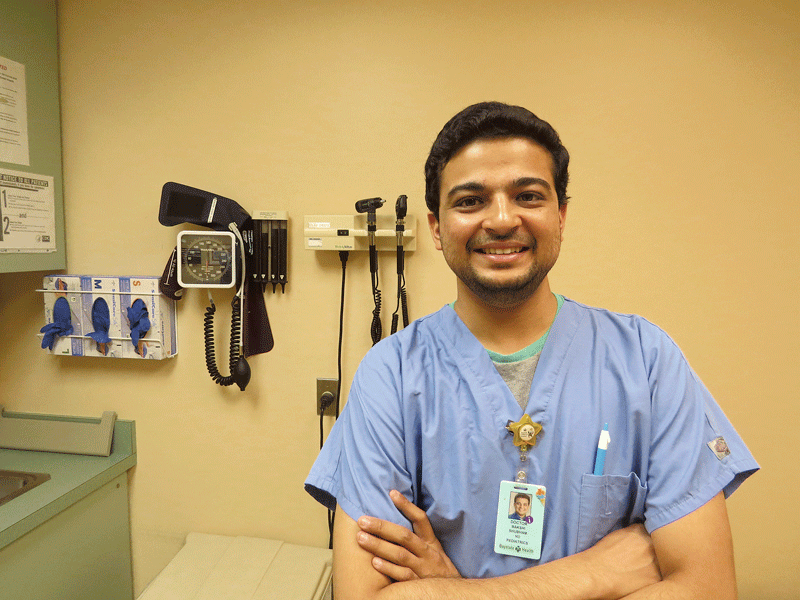 But that was the role that the pediatric resident was assigned in his poverty-simulation seminar — “I didn’t volunteer” — and, like any good actor, he soon became immersed in his role, if you will. In this case, that meant coming to grips with all the sentiments, emotions, and, yes, toxic stress that such an individual would encounter as they are presented with a task, or scenario, as well as their assignment, which, as he put it, is to simply survive the environment they’d been placed in. “The environment that I was given was that my dad had just left us, and everything fell to my mom, who was not educated and didn’t have enough skills to work in many jobs; everything fell on her to support us,” Bakshi recalled. “And being a 13- or 14-year-old, I was not able to get any jobs. Creating these eye-opening experiences and, more importantly, changing the way physicians think about how to properly care for those living in poverty is only the latest example of how Senn-McNally has spent much of her career working with and advocating for people at risk. Indeed, her résumé includes stints with a host of community health and wellness organizations ranging from the New Beginnings Domestic Violence Shelter in Newark, Ohio, to the Franklin County Community Action Center for Self-Reliance, a homeless drop-in center in Greenfield. 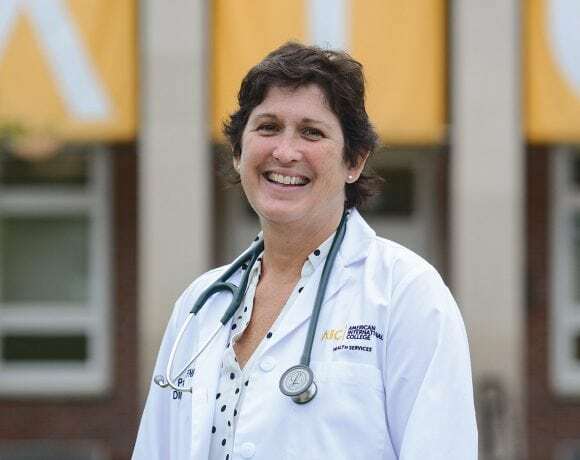 Through those experiences and many others, including three years at Connecticut Children’s Hospital in Hartford working in its primary-care center, she brings a keen awareness of those aforementioned social determinants of health to work every day, and making others as aware is now a big part of her duties as a pediatrician and educator. And in those capacities, she wears a good number of hats. She has her own practice, working at the clinic on High Street, which serves some of the poorest neighborhoods in Springfield. And like many who work with children, she finds that work not only rewarding, but enjoyable. She also serves as Springfield’s school physician. In that role, she works with the school nursing leadership as their healthcare consultant, and has worked with school officials on a number of initiatives, including substance-abuse screenings. A pilot program involving seventh- and 10th-graders was launched last year, she said, adding that school nurses undertake what are known as SBIRT (screening, brief intervention, referral, and treatment) screenings designed to make the nurses resources in the ongoing battle to stem the tide of substance use. And she is also an educator, specifically associate program director for the pediatrics residency program at Baystate, another role with a host of rewards. And the poverty-simulation seminars she oversees play a very big role in these efforts. Such simulations are taking place across the country, involving not only physicians and others in healthcare, but also elected officials, educators, business leaders, and other constituencies. With each group, the goal is essentially the same — to create awareness of the myriad challenges facing those in poverty, and to see this awareness translate into positive change when it comes to how communities and individuals serve the poor and deliver services. The simulations feature volunteers, perhaps 20 to 30 of them, who are residents of the community and either work with people in poverty or who have lived in or close to poverty, said Senn-McNally, adding that the ‘participants’ are medical residents or medical students who role play for an hour (four 15-minute ‘weeks’) living in poverty. After the simulation, there is a debriefing, she went on, adding that these sessions, where the participants, such as Li and Bakshi, discuss what they just experienced with the volunteers from the community, are quite compelling. What happens after the seminars is obviously the most important part of this equation, though, said Senn-McNally, adding that the goal is to not only create an understanding of what it’s like to live in poverty, but better serve that population. And she believes the seminars are creating progress in this realm. “The residents and medical students learn that people have to prioritize when they’re living in poverty,” she explained, “and that meeting their basic needs, food and shelter, may take precedence over their medical needs. Today, and in large part because of the poverty-simulation seminars, Li, Bakshi, and others are asking such questions, listening carefully to the answers, and using them to help improve their patients’ overall health and well-being. With that, Li returned to that thought about outside-the-box thinking and going beyond what the book says. Dr. Shubham Bakshi says his role as a teenage girl living in poverty certainly opened his eyes to the challenges facing that constituency. To get his points across, he used the example of an extremely overweight patient. Bakshi agreed, and said that before the seminar, he, like most others in his position, would make assumptions and take some things for granted, things he’s learned he shouldn’t do. As an example, he cited a call he received from a woman living in a shelter concerned about a rash her child had developed. “I said to her, ‘I’m a little concerned about that because you’re complaining of fever, nausea, vomiting, etc. ; why don’t you go to the emergency room?’” he recalled. “Later, I realized she said she lived in a shelter and that it would be hard for her to arrange that transportation. Also, it was 10 at night. The gentleman who played the police officer in Li’s poverty-simulation seminar is a greeter at the High Street clinic. Li sees him almost every day. His heart doesn’t race when he does. But it certainly did that day back during his residency orientation. That’s how realistic that exercise was in essentially bringing Li into a life of poverty and forcing him to somehow survive. The toxic stress was very real. Also real are the changes in the ways that Li and others like him are looking at, talking with, and treating those who come into their care. And Molly Senn-McNally has played a lead role in bringing about those changes.